The actor in the YouTube video is my son, Brian, who I have plastered all over this website. Here's a quick link over to the website with this batting net. The site is Hitting World and they have some great baseball accessories at low prices. I used to come home from work, eat dinner and then take Brian to the batting cages. It was a twenty minute drive to the cages. Then once we got there, we took turns in the cage with other players. In all, including drive time, a trip to the batting cages was two hours. And Brian didn't always get as many swings as he wanted. Now, I come home and Brian, in 45 seconds, has the net ready to go. I throw him some soft toss from both sides (he's a switch hitter) and we are done in thirty minutes. Plenty of time for dinner and homework. I would like to say Brian's grades have gone up because of the Zip Net, but that would be stretching the truth, lol. The garage batting cage sure has made our life easier. Brian hits off the tee whenever he likes, and I throw him soft toss at night. The initial set up of the net was quick and easy also. From lining it up and putting the hooks in the wall, it took Brian and I about thirty minutes. Do yourself a favor and check out Hitting World's Zip Net. Tell them Vic sent you. Also, if you have any questions about the Zip Net just ask me in an email. There is a form under "Contact Us" over on the left side. Brian and I have been using this batting cage for over a year and have had no problems. Just last night Brian commented that he would probably not be switch hitting if it wasn't for the convenience of using the Zip Net. Brian has tried switch hitting since he was 12. There was a point where he took a couple of years off. Then one of his new summer coaches got him back to trying it. He hit all winter from the left side in our garage. That time really got him over the hump to where he is now just as comfortable hitting left as he is hitting right. For Christmas our grandson wanted one. 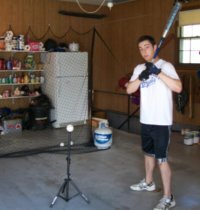 Whenever he was over at our house he always wanted to hit in the garage. Boys all ages just seem to love them. And girls too. Just so you know, I do make a small fee when you go over to from our website and make a purchase. I thank you in advance for shopping thru us. I know the cost of baseball equipment adds up quickly. All the gloves, bats, shoes, and so on really cuts into the budget. But let me tell you this garage batting cage is well worth the money. The netting is high quality material and will last for years. Just a little side note and some bragging. All of Brian's hard work in our Garage Batting Cage paid off when he was selected to "Team Missouri". 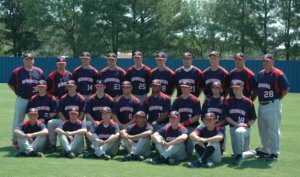 They played in the Jr. Sunbelt Classic in Oklahoma against 10 other states and Canada. It was a very exciting trip. OK, now back to the garage batting cage. Think you might be moving in a few years? No problem, you take this netting down and reinstall it in your new home. 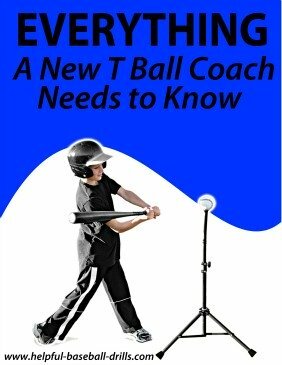 If your son likes to go to the batting cages, then bring the cages to him. Do you have to work late tonight. Tell him to hit off the tee tonight and you will soft toss tomorrow night or this weekend. It’s much easier videoing your son at home also. 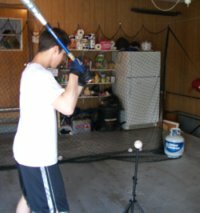 Video some swings, go in and review them. Then come back out and work on any corrections. The ease of this netting makes life so much easier. Labor Day weekend just ended and my son-in-law said all the batting cages in town were closed Sunday and Monday. My garage batting cage was open all weekend. In fact, for my son or one of my grandsons or granddaughters, it is open 24/7. Check out Hitting World's Zip Net. They are really good people and offer quality service.